A growing number of women have been entering the field of engineering over the past few decades but this good news story doesn’t have a rosy ending. As recent coverage in the Washington Post and on National Public Radio details, many of them are leaving their positions and some are hesitant to enter the profession at all. For the civil engineering community, the statistics demonstrate that we are doing better than most, yet we have much more work to do. Statistics show that women represent 12.1 percent of the civil engineering workforce and 14 percent of the total workforce. And according to the Engineering Workforce Commission (EWC), over the past five years, civil engineering has consistently outpaced all other engineering disciplines in the awarding of master’s and doctoral degrees to women. The 2012 study showed that on average, civil engineers expressed slightly higher than moderate levels of satisfaction with their jobs and their careers. They also expressed moderate levels of loyalty and commitment to their employers as well as toward the engineering profession as a whole, and a lower than average desire to leave their organizations and the profession. 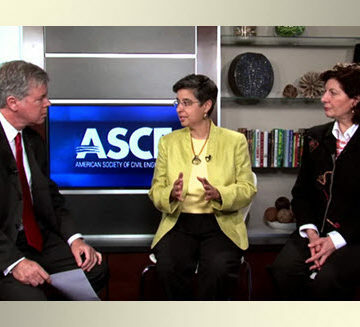 The authors of both studies, Nadya Fouad, Ph.D., distinguished professor and chair of the Department of Educational Psychology at the University of Wisconsin-Milwaukee, and Romila Singh, Ph.D., associate director of the Lubar School of Business at the University of Wisconsin-Milwaukee, spoke with ASCE senior managing director Casey Dinges in episode 4 of ASCE’s Interchange video series. Nadya and Romila shared their surprising findings and discussed what the engineering community can do to improve the workplace climate for all engineers. So what can you, as an ASCE member, do to help improve the workforce climate in your organization? Be aware of your own behavior towards your colleagues and start a discussion in your organization about the kinds of “incivil” behavior cited in the study that affect productivity, morale and the retention of valuable employees. 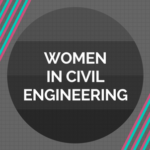 Consider taking part in the follow-up study,“Why Men & Women Stay in Engineering” by completing a brief survey on your experiences in the civil engineering workplace. This nationwide survey of women and men currently working as engineers will help ASCE and other engineering professional societies, employers, policy makers and educators to thoughtfully craft initiatives that optimize engineers’ engagement in technical careers and workplaces. 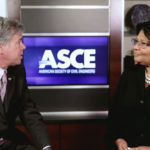 Visit the ASCE Diversity and Inclusion page to learn more about the issue and help ASCE champion the message that an inclusive workforce climate is essential to our nation’s ability to face the challenges of today and tomorrow while remaining competitive in a global economy. What are some of the ways managers and engineering organizations can change the workplace climate? What behaviors have you seen that make a difference? 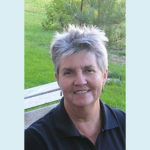 Constance Thompson, senior manager of diversity and inclusion, contributed to this post. Hey nice article. Sounds good. Glad you enjoyed it and it was informative. 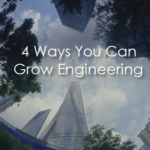 I still do EWB (was in Kenya a couple of months ago leading a water project) but I left the profession a year ago (as a young female engineer in one of the largest international engineering corporations – recently acquired by a smaller firm) because I received a much better offer with a consulting firm (one of the Big 4 accounting firms). Women are paid less in any industry and it’s worse in engineering than most professions so I left.